As we all know, smoking is by far the biggest preventable cause of cancer. Thanks to years of research, the links between smoking and cancer are now very clear. Smoking accounts for more than 1 in 4 UK cancer deaths, and nearly a fifth of all cancer cases. Tobacco was responsible for more than 100 million deaths worldwide in the 20th Century. 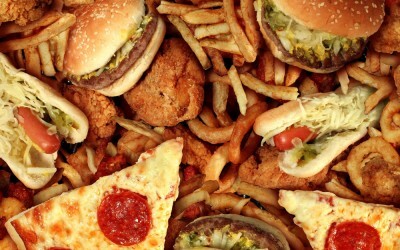 But food and stress are the main culprits of cancer in other parts of the body. Stress has three absolute fundamental energy aspects that need to be considered – Spirit, Soul and body. Contrary to common belief, the body is where we will focus today to start the understanding of becoming healthy. Crisps, Chips, Biscuits & Bread. Processed Meats do cause cancer. Processed meats – such as bacon, sausages, hot dogs, salami, corned beef, and ham – do cause cancer, according to the World Health Organization (WHO). These processed meats have been modified to either extend the shelf life or change the taste. It is the chemicals involved in the processing which is increasing the risk of cancer. High-temperature cooking, such as on a barbeque, can also create carcinogenic chemicals when over-cooked, making things worse. In the UK, around six out of every 100 people get bowel cancer at some point in their lives. If you have cancer, eat glucose and sugary foods at your peril. And there is plenty of research from places such as Harvard Medical School to support this view. In 2012 Cancer Watch covered research that high fructose corn syrup could be even worse than common sugar – you´ll find it abundantly in fizzy soft drinks. So, the most important rule in fighting cancer is: Cut out common sugar, chocolate, cakes, biscuits, ice cream, fizzy soft drinks, and processed and packaged food as a start! And be warned: You must starve cancer of glucose. Dr Mark Hyman, author of The Blood Sugar Solution: “This new modern wheat may look like wheat, but it is different in three important ways that all drive obesity, diabetes, heart disease, cancer, dementia and more. It contains a super starch, amylopectin A, that is super fattening, a form of super gluten that is super-inflammatory, and [acts like] a super drug that is super addictive and makes you crave and eat more”. Gluten-containing grains like wheat, barley and rye require special attention because they can be particularly damaging to your health. All grains, including other non-gluten containing grains like corn, are bad because they contain gut irritating lectins and mineral binding phytates, but I’ll tell you here why gluten-containing grains and wheat especially can not only cause the same problems as other grains but also cause much more trouble down the road. Gluten is a compound protein that composes about 80% of the protein found in wheat, barley and rye, and there is a lectin found in wheat that can be particularly damaging. There are chemicals found in wheat which similar to those found in other well-known psychoactive drugs like opium or morphine. Everyone should avoid wheat as it also causes autoimmune diseases through the reaction of the immune system against this gluten protein – wheat consumption causes various reactions – often in insidious ways. So be aware. It causes gut inflammation in at least 80% of the population and another 30% of the population develops antibodies against gluten proteins in the gut. Furthermore, 99% of the population has the genetic potential to develop antibodies against gluten. Antibodies acting in the gut can actually be good news because when the body doesn’t react against gluten right away, gluten proteins can enter the bloodstream more easily, especially if the gut is already leaky, and trigger immune reaction elsewhere in the body. Remember, keeping your immune system strong and balanced at all times is essential to health and longevity. Since the main problem-causing gluten protein, can be similar in structure to other proteins found in tissues of organs such as the thyroid or the pancreas, antibodies acting against gluten can end up attacking those organs and ultimately cause autoimmune diseases like hypothyroidism, diabetes and Graves’ Disease. Gluten’s inflammatory effect in the gut causes intestinal cells to die prematurely and causes oxidation of those cells. This effect creates a leaky gut, which I have personally experienced, and a leaky gut can allow bacterial proteins and other toxic compounds to get directly into the bloodstream, which can also lead to various autoimmune attacks on the body. A leaky gut also means that food has not digested properly and nutrients are not absorbed fully, which can lead to nutrient deficiencies. Which in turn means taking vitamins & mineral supplements could be a waste of money. The first step as I mentioned earlier is strengthening the immune system and its intelligence. Antibodies created against gluten have also been shown to attack heart tissues and cause heart disease. We will leave that for another day. So, gluten is potentially cancer-causing, and cancer-promoting – so avoid it. A Swedish study is the first to suggest that acrylamide is formed when carbohydrate-rich foods such as potatoes, rice and cereals are fried or baked (acrylamide was not formed when the foods were boiled). In fact, researchers found that a bag of crisps may contain up to 500 times more acrylamide than the World Health Organization allows as a maximum safety limit in drinking water. Some fries from fast-food chains contain up to 100 times more. It is a dangerous chemical. Foods that we feed to the whole family such as crispbreads, cereals and wholemeal bread are also all tarred with the acrylamide brush. If you have a healthy immune system, your body will recognize toxins such as acrylamides and will stop them from causing damage to your cells. But reducing your intake of fried and fatty foods is recommended, although the odd packet of crisps or chips won’t harm you. when it comes to things that we, humans, are not adapted to eat – sugar, wheat and its gluten protein friends are probably at the top of the list. It’s very sad that wheat is so omnipresent in our society as many health conditions would probably not even exist if it were not for our high consumption of wheat and grains. Positive changes are often noticed immediately after removing sugar, wheat and all gluten-containing grains from the diet. So sugar, wheat and other gluten-containing grains must, in my opinion, be completely avoided, especially for those who suffer or want to avoid suffering from any kind of cancer, any autoimmune diseases and any inflammatory condition. The first step is always ensuring that your immune system is strong, balanced and intelligent as it was originally created at birth when your mother breast fed you. Then start understanding the effects of stress in developing cancer and other diseases. and receive information about cancer, the immune system and how to keep yourself disease free by understanding energy and the roles of the Body, Mind and Soul. Stress could be your worst enemy – understand it. Cancer Holocaust – The Road to Self-Healing.